Since its very launch, Friendite has been among the top growing Social Dating sites in Nigeria especially in Anambra State, Awka where it is hugely popular. Members of the site can find their match, share photos, videos, create events, blogs and groups, read the latest news of interest, and play advanced games with other members — all they want is now at one place. 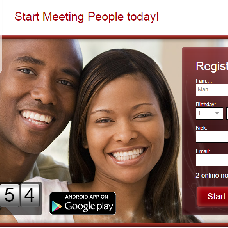 At the moment Friendite.com is Nigeria’s No 1 dating site and has more than 77, 000 users. Read the interview with the site founder Emmanuel Okeke.